Where to Buy Catchmaster 612 Multi-Catch Mouse Trap, Catchmaster 612 MC Mouse Trap Pro-Ketch 104-0-004 - $11.95 for Sale with Fast Free Shipping! Catchmaster 612 MC Mouse Trap Pro-Ketch 104-0-004 combines function and style in a multiple-catch mouse trap. It is ideal for monitoring and/or trapping and is effective for both mice and insects. 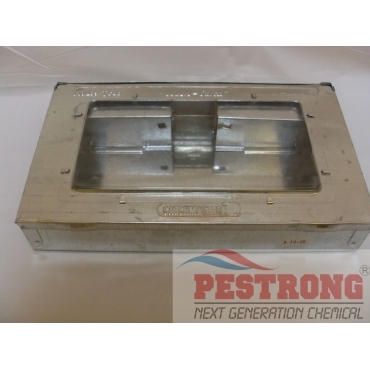 We, Pestrong may ship Catchmaster 612mc or Pro-Ketch 104-0-004(clear view lid) depends on the current stock. Our food company have maintained rodent control by using this. small investment and good response. This repeat trap is best mice control for my client.